Further underlining its strong health and safety credentials, 2017 saw Ireland-based Mainline Group receive a Distinction and Consistent High Achiever award at the National Irish Safety Organisation (NISO) Safety Awards held in Galway in October. 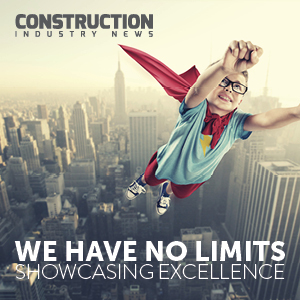 Construction Industry News recently caught up with John Connelly, SHEQ Manager for the company, to see how the success was achieved. In terms of how the consistency has been maintained, a number of company-wide initiatives have played an integral role in keeping standards high. “We have a number of different schemes in place including an umbrella framework that spans the entire company under which we run a variety of initiatives to monitor our performance and to help raise awareness of certain issues,” adds Mr Connelly. “We’re also signatories to the IOSH No Time to Lose campaign, as it complements our own ‘Stay Safe @Work @Home’ campaign that aims to raise staff awareness and improve our safety culture throughout our activities at both work and at home. The purpose of our own campaign is to promote and encourage everyone to reduce the risk of accidents, incidents and ill health involving our workforce, family and members of the public. “The work undertaken by IOSH to raise awareness of occupational cancer is fully supported by Mainline Group and we are fully committed to raise awareness of the causes of occupational cancer and prevention strategies. In addition, we have taken part in Construction Safety Week as we feel that it’s important that entire industry plays its part in promoting safe working practices. It’s an issue that we’re always working on improving and we strive to continually mix things up a bit to keep our approach fresh and to ensure that complacency doesn’t set in. This refusal to rest on its laurels has been another major factor behind Mainline’s excellent health and safety record. Despite this success, however, the company is conscious that the process remains very much a journey rather than a destination. “We’ve made tremendous progress when it comes to involving our staff but there’s still more hard work to do at all levels of the business, from the management through to our site operatives. It’s vital that we’re all pulling in the same direction and this is something that we’ll be focusing even more strongly on in 2018. ICT & Data Capture (including Data Analytics). As it develops further in these areas, Mainline is looking to build on an award-winning year by making the most of the opportunities that will be coming its way in 2018, especially with renewables. “We’re currently busy within the wind farm sector working on major schemes across Ireland and this will continue in the months ahead. We’re also working on a large non-domestic water meter programme as well as on going maintenance projects within our telecoms division on a national basis so we’ve got a good mixture of work in place across a broad range of contracts. Further opportunities within the solar and wireless business area are also being targeted. One such supplier is Prolift Handling, which plays a key role in keeping Mainline’s lifting plant certification compliant on a nationwide basis, providing a one-stop solution to its lifting plant requirements. During 2017 we also continued with specialist support provided by another key supply chain partner Kerry Mechanical Engineering whom provide expertise in the maintenance and CE certification requirements for our bespoke heavy duty cable installation plant. “We’re also committed to maintaining a strong health and safety approach and with this in mind we’ll be putting together another submission for a NISO award as we continue to move up the ladder and build further on the excellent work that we’ve already completed,” says Mr Connelly. “Again it’s all about continual improvement and further reduction of accidents and incidents. This will be driven by a number of new initiatives that we’ll be introducing in areas such as occupational health, while we’ll be constantly monitoring our performance so issues can be addressed and our targets reassessed. With the proactive approach that Mainline has at the heart of its operation, this is very much an objective that the company is on course to obtain. It would be no surprise if it secures more award recognition along the way too.